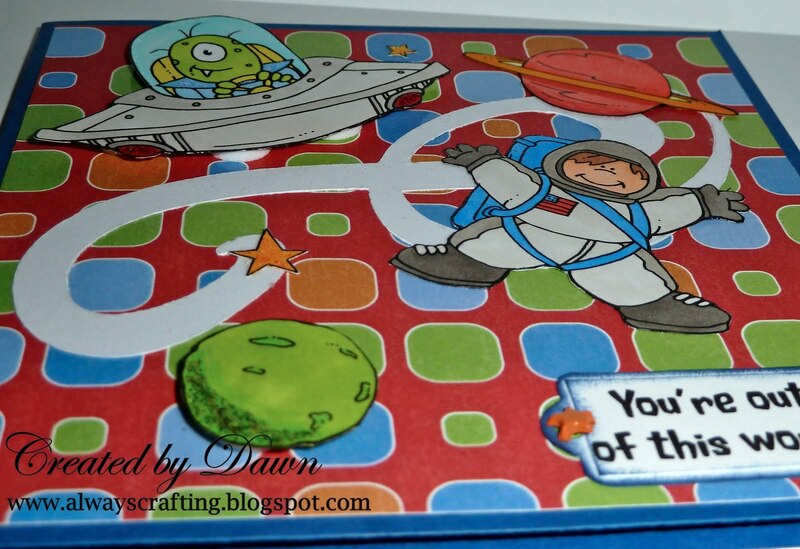 I used Hambo images Alien Spaceship and the Space Boy Set, Swirl made using the Silhouette, glitter and star brads. You can find these images HERE! 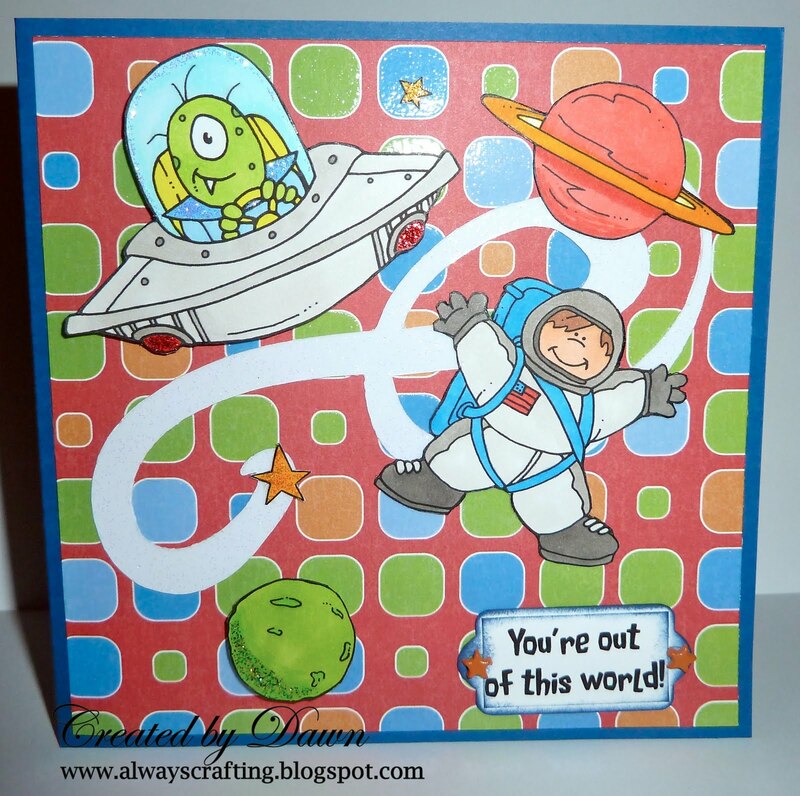 I added some dimension by popping up the spaceship and green planet. Such a fab card Dawn, I love all the bright colours. Hi Dawn thank you so much for visting my blog and leaving me a lovely comment. 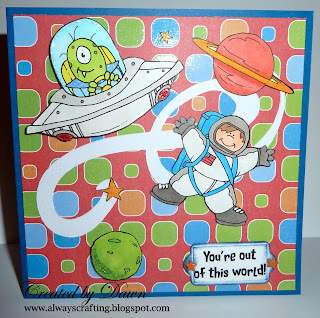 Hope you pop by again you have a wonderful blog here too love the papers you have used on this design and such a fun theme. Oh this is soooo fun.That is the perfect pp for this theme and images. Thanks for playing with us at CIC. Hope to see you on the 16th for the next challenge. I can tell that you had fun with it! You did an awesome job, the card itself is fuN! 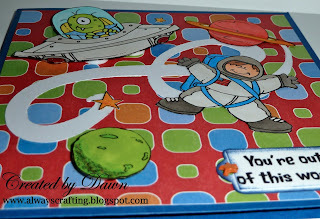 Thanks for linking up on Show and Tell this week! Very beautiful card. I like the choice of the paper and the lively colors. The theme is original: Alien, we don't see it a lot (fortunately for us, countrymen) . Card very alive thanks to the various stamps.